Entertainment and relaxation may seem like luxuries nowadays, amidst the daily grind of the working Filipino and the continued rise of daily expenses. With night outs typically spent during or after payday, splurges on cinema tickets or expensive concerts now become an unpractical habit in rewarding one’s self. This routine is not only a waste of money but possibly a waste of quality time as well with all the distractions and offerings in malls, night markets, and amusement parks. A night of fun should not require long distances, travel, and traffic; with the right equipment though and with the right crowd. 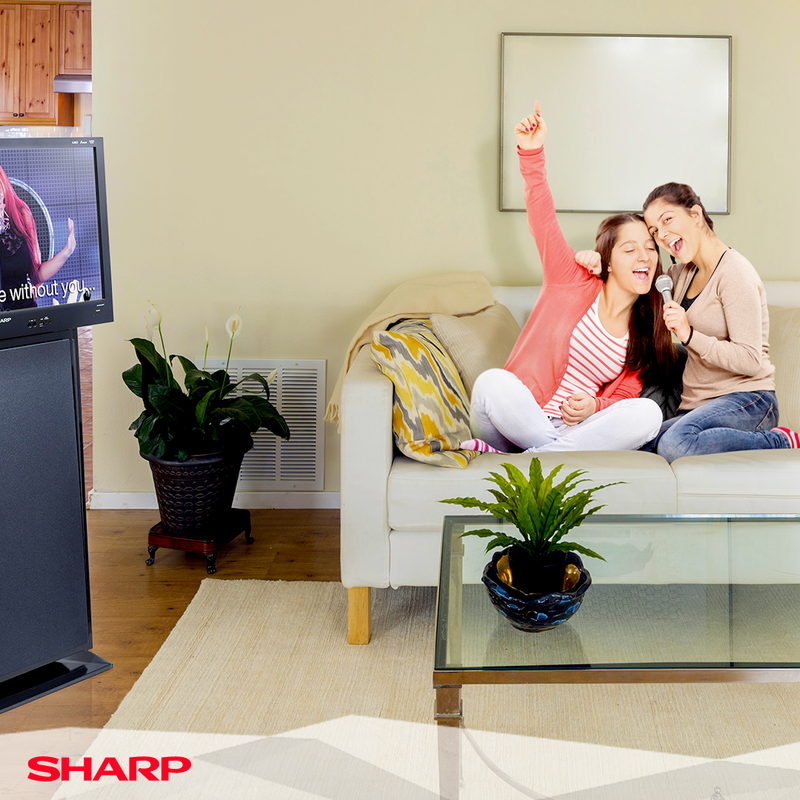 Now, entertainment can be enjoyed without too much fuss and planning, in the center of your own home. Bonding time can never go wrong with this all-time Filipino-favorite equipment—the videoke. 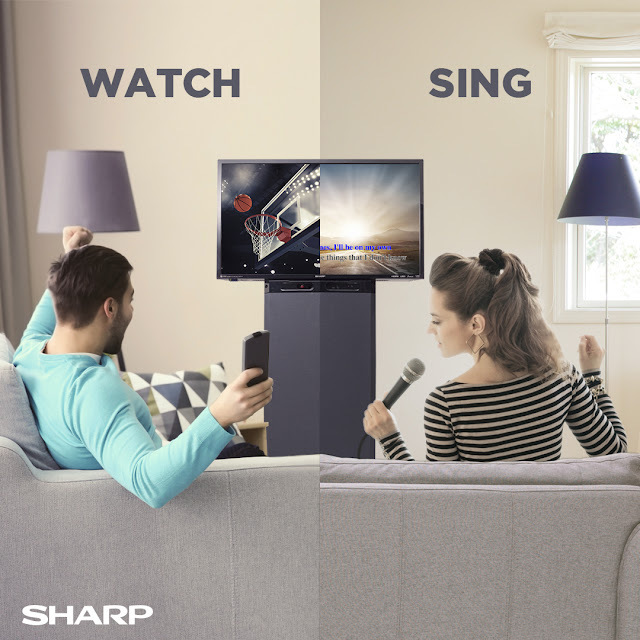 Complete with 1,200 licensed songs to choose from,the Sharp Active Multimedia System - SAMM - is your best companion any day of the week. Now, you can sing your heart out without the guilt from expensive concert tickets or videoke room rentals. Entertain guests in your own home for unlimited jamming. With two microphone jacks for some double singing fun, friendly karaokecompetition, or simply jamming and rocking to your favorite songs. SAMM is equipped with a 3-way speaker system, ensuring quality sounds to accompany you all throughout the night. Plus with its crystal-clear LED monitor, make no song lyric mistakes and delight yourself with vivid music video images. With the SAMM, you can make he most out of your nights at home. It's your videoke entertainment system - and more! Jamming with SAMM does not only get you videoke nights. SAMM also offers a multimedia player for any of your movie or music needs. It has a built-in TV tuner for your favorite TV shows and a USB port ready to read any image, video, or music format. With SAMM, more entertainment features await you even when you turn off the videoke. Now you can also hold movie marathons, watch the latest TV show, or play your favorite mp3 songs all-day and all-night long—all these, in just one system. SAMM is also complete with HDMI connections for more input and output options and a choice between 24” (HK-LE2425UVP, HK-LE2415UVM) and 32” (HK-LE3225UVP, HK-LE3215UVM) LED monitors with models of 2 varying hardware designs that can complement any interior styling. Transform worknights to SAMM nights, transform night outs to nights at home. 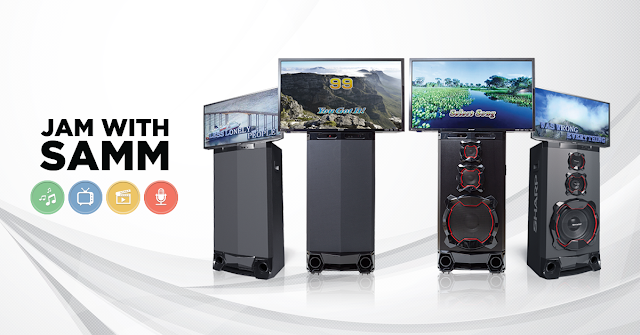 The Sharp Active Multimedia System—your ultimate videoke machine!! Go now to an authorized Sharp dealer near you or visit www.sharp.ph and Sharp Philippines on Facebook for more information about SAMM.